Explanation: Here is the first direct picture of the surface of a star other than our Sun. Taken by the Hubble Space Telescope in 1995, the atmosphere of Betelgeuse reveals some unexpected features, including a large bright hotspot visible below the center. 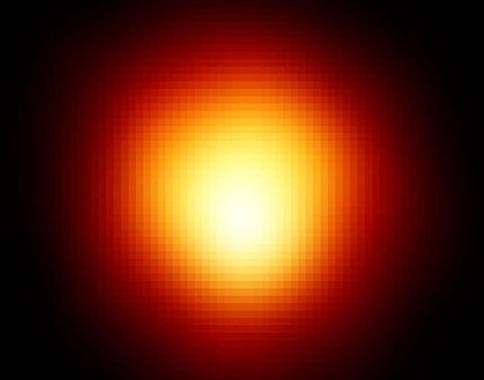 Betelgeuse (sounds like "beetle juice") is a red supergiant star about 600 light years distant, easily recognizable from its brightness and reddish color in the constellation of Orion. 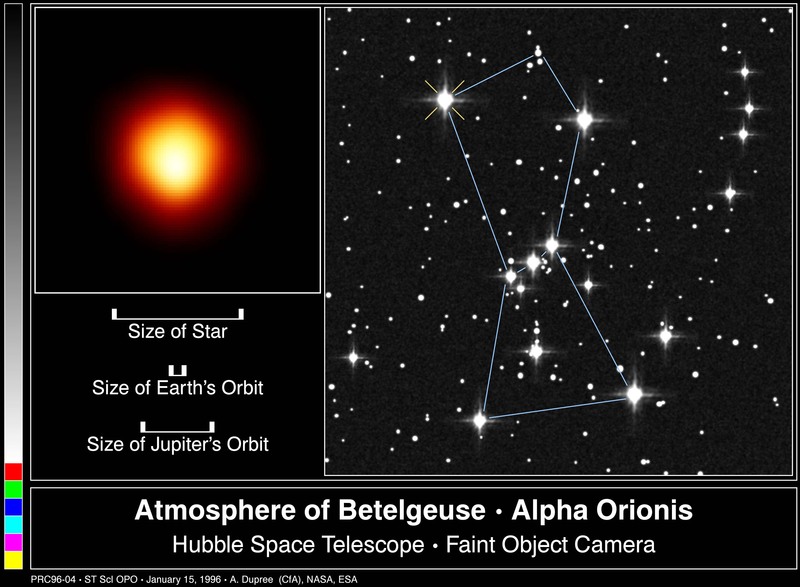 While Betelgeuse is cooler than the Sun, it is more massive and over 1000 times larger. If placed at the center of our Solar System, it would extend past the orbit of Jupiter. Betelgeuse is nearing the end of its life and will become a supernova in a perhaps a few tens of millions of years.